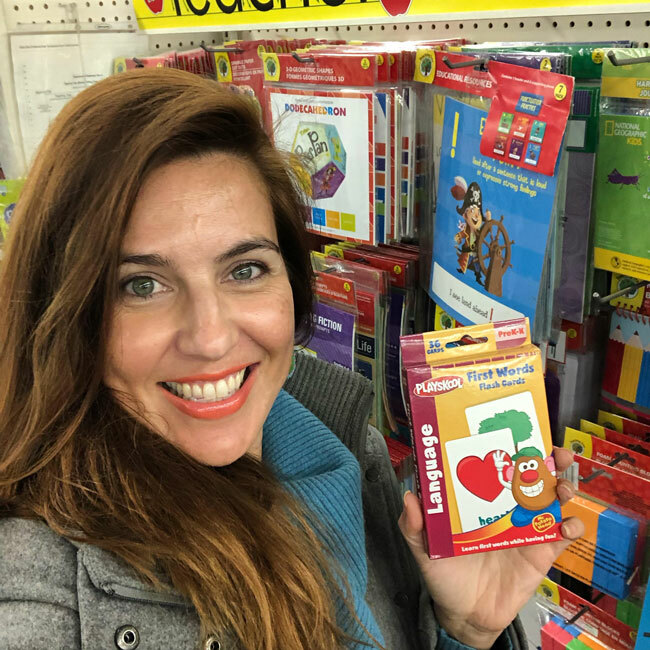 I’ve been taking school supplies, clothing, and other items to Brazil for as long as I can remember, so it was an exciting discovery to learn about Pack for a Purpose, an organization that was doing this formally all over the world! My old routine involved culling my closet, Marie Kondo style, and gathering up clothing, shoes, purses, and items that I, my mother, and grandmother no longer needed, and taking them in an old suitcase to a friend in Brazil who volunteered at a favela. It worked for me because I had lived in Brazil, and had developed a strong network of locals who could take my items to underserved and underprivileged neighborhoods; neighborhoods that I probably wouldn’t end up visiting during my vacations. But on my recent vacation to Rio, I partnered with Pack for a Purpose, and enlisted the help of my social media network to broaden my reach and resulting donations. I first learned about Pack for a Purpose on social media, and was thrilled to learn about their global reach, but still serving communities here in the U.S. After looking at their website, it seemed like wherever a person was traveling to, there was a community that was touched by Pack for a Purpose’s great work. Having been a teacher for a short-time in Brazil years ago, I was thrilled to learn that Pack for a Purpose’s partner in Rio de Janeiro was a school for favela children called Mais Caminhos. The school sponsored a summer program, and needed school supplies to help enhance the activities and programs that the school offered. Anyone who has been a teacher, here or abroad, knows that school supplies are expensive, and hard to come by! The best part of taking the supplies to Pack for a Purpose’s school partner in Rio, Mais Caminhos, was getting to participate in the summer program and visit with the children. On day 1, I gave the girls manicures and pedicures, something I love doing for myself! 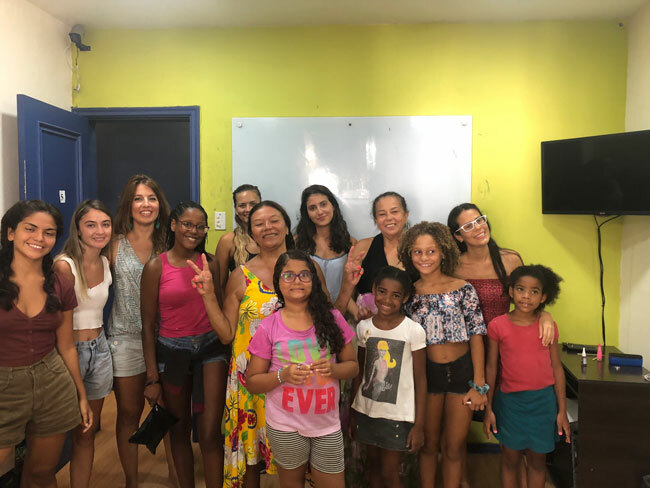 It was a chance for me to connect with the girls and other volunteers, all while practicing my Portuguese. Then on day 2, the school had a field trip to Copacabana beach with about 8 volunteers and 20 children splashing and jumping in the water, and just having a blast on Rio’s most famous beach. For me, it was rewarding and rejuvenating to be around the kids and just have some fun! So what were the logistics of working with Pack for a Purpose? It was actually pretty easy! First, I put a post on my Facebook account about my trip and the organization, which prompted some of my family and friends to send donations to my house. In addition, I posted a note about my visit on my Instagram profile with a link to the GoFundMe account for the school program in Rio. This worked out well, since I didn’t feel comfortable sharing my home address with my Instagram followers, and they would know that their donation went directly to the school. Overall, it was a positive experience and something that I’m looking forward to doing the next time I travel to Brazil, or any of the other hundreds of places that Pack for a Purpose supports. I love their mission and I’ll never forget my phone conversation with the founder, Rebecca. She touched on the organization’s philosophy and made the analogy of taking a hostess gift to a friend’s home – “it’s just good manners”. As someone who is always shopping for hostess gifts on her travels, I loved Rebecca’s point. “When visiting other countries, you are in their home, their community, and it is only proper to bring a gift, no matter the size.” I couldn’t agree more! And that is the best part of Pack for a Purpose – your gift can be small sized to fit in your carry on luggage. I hope my story inspires you to consider packing for a purpose on your next vacation, and safe travels to all!